A regular jokester, nobody is safe from your wisecracking and punchlines but it's all good-natured fun. And my friend Elizabeth insists that I am Oscar in The Odd Couple, and our mutual friend Sean (who I’ve mentioned from cat-sitting) is Felix. Quite a bevy of comparisons, aren’t they? To end with, more photos from the urban hike along Ponce, taken by Eli (organizer). Including one of me hugging a tree. 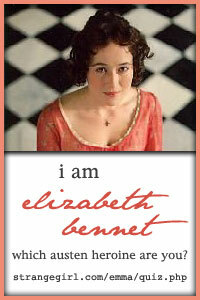 Well, I do agree somewhat with your being comparable to Elizabeth Bennet, but you are to... hmm, the thing is, Lizzy is to sweet/good tempered. You happen to have a temper like everyone else in the family(Myself included) even if it only shows at family gatherings etc.